Fully licensed and insured, we offer a six step fertilization program throughout the growing season to keep your lawn green with perfection. These programs begin in late March and run through November. Our results are achieved by proactively identifying problems and attacking them in a timely manner. We want to ensure you that no matter what the quality of your current lawn is, we’re here to help you achieve the healthiest and greenest lawn in your neighborhood. Our Fertilization programs help loosen hard, compacted soils early in the Spring and encourage microbial activity in your soil. 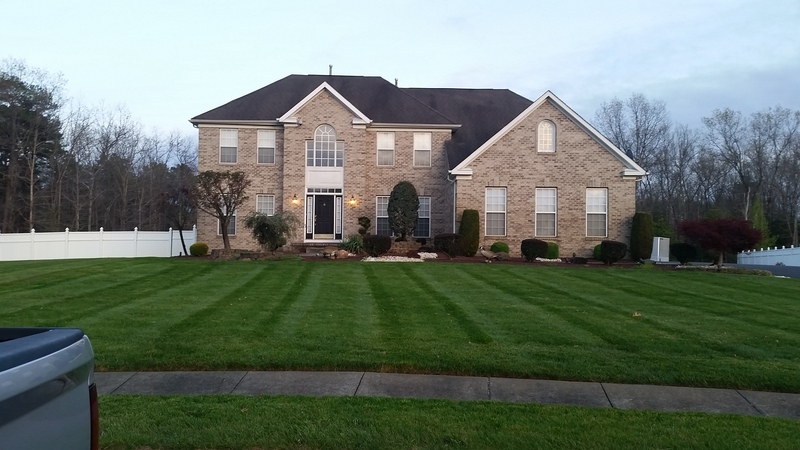 Our program proactively attacks crabgrass, broadleaf weeds, and unwanted insects which lie dormant and ready to take over your lawn if not treated properly. Finally, our program helps replenish and restore nutrient deficiencies caused by natural stresses. Healthy soil is the key to a healthy lawn! Thatch is good for your lawn as it contains water and helps replenish nutrients back into the soil but too much can lead to disease and insect problems. Removing unwanted thatch and aerating helps decrease compaction, which often is the biggest enemy on turf grass. Doing so allows for oxygen flow and water to reach your lawns roots and encourages microbial activity. The best solution to combating unwanted weeds from claiming stake on your property is a thick lawn. We recommend seeding your lawn at least every two years no matter how healthy your lawn may look. The spring and fall is the best time to seed as temperatures and precipitation are ideal for seeds to germinate and mature while weeds remain dormant. Did you forget to seed in the spring or fall? Or do you prefer an immediate impact of greenery to beautify your property? Don’t worry, sod is your solution. Did you know sod can be laid at any time of the year? Yes, even during our most hot and humid months. With a proper watering system and schedule in place, our sod services can help transform your need areas into an instant lawn.